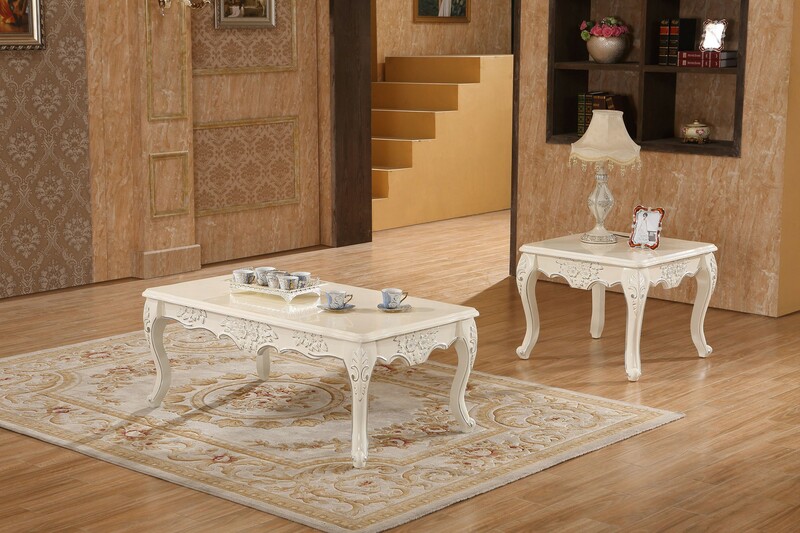 Antique white wood trim fabric living room set 691 in rich traditional style will turn your home into a castle. 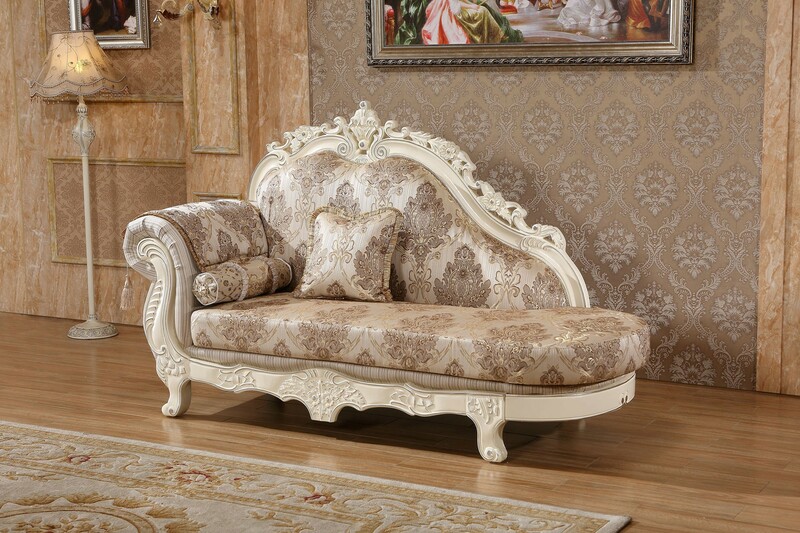 Solid wood hand carved wood design all around and elegant rolled arms on large seats. 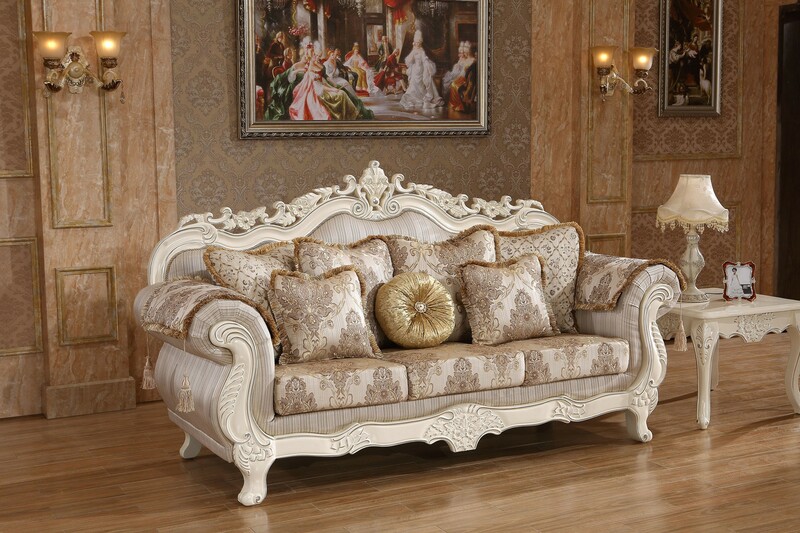 Curved feet on comfortable sofa, loveseat, chair and chaise as well as genuine marble tops white coffee and end tables. 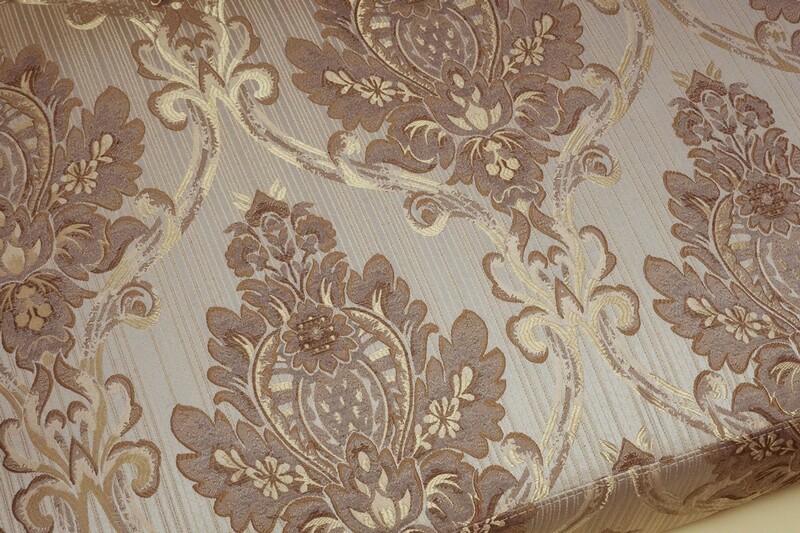 Wrapped in high quality tapestry fabric with square and round accent pillows on large seats.